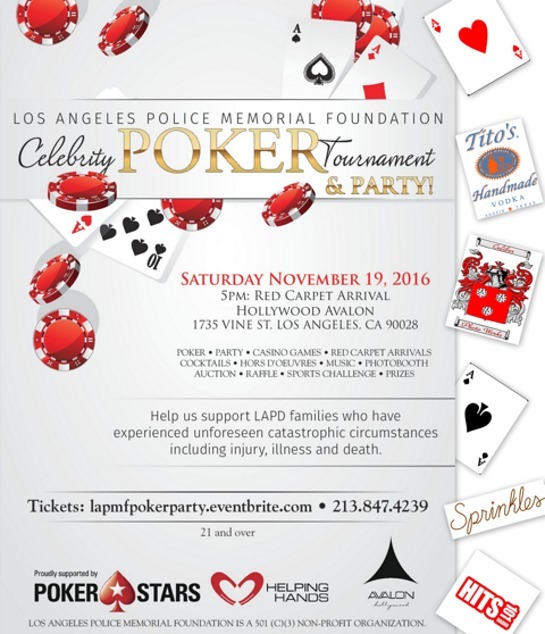 The Los Angeles Police Memorial Foundation Celebrity Poker Tournament will take place this weekend. Proceeds from this event benefit LAPD employees and their immediate family members, who have experienced unforeseen catastrophic circumstances, including death, illness and injury. 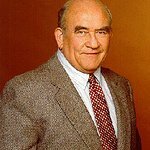 The Memorial Foundation is the cornerstone of the Los Angeles Police Departments employee wellness program and has granted over $16 million without any direct taxpayer money. The evening will include red carpet arrivals, a celebrity poker tournament, casino games, great food, cocktails, music, photobooth, raffles and auctions. Along with dozens of unique and priceless items in the auction, guests will have the chance to win a 2-seater ride with the legendary IndyCar champion Mario Andretti at the 2017 Toyota Grand Prix of Long Beach with tickets, pit passes and stay at Renaissance Long Beach, spend the day with MMA fighter Tito Ortiz in training & tickets to BellatorMMA Ortiz vs. Sonnen Fight at the Forum, a stay at Seminole Hard Rock Hotel & Casino, tour of Jay Leno’s private auto/motorcycle collection, LAPD airship ride, LAPD SWAT Training Day, Training at the Emergency Vehicle Operation Center to learn pursuit & pit maneuvers etc. Hosted by Don Cheadle, celebrity guests are expected to include Christopher Meloni, Danny Masterson, Luke Wilson, Jerry West, Peter Facinelli, Tito Ortiz, Jerry Cantrell, Billy Burke, Andre Reed, Gilles Marini, Camryn Manheim, Lou Diamond Phillips, AJ Buckley, Christopher Judge, Keearan Geovanni, Keesha Sharp, Golnesa “GG” Gharachedaghi, Jason Collins, Jayde Nicole, Michael Paul Chan, Shanna Moakler, Tia Carrera, Tony Denison, and Vanessa Marcil. Avalon Hollywood: 1735 Vine St.